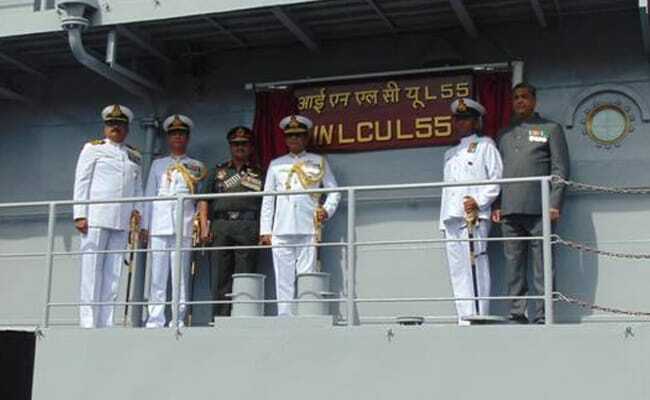 LCU L55 is the fifth ship of Landing Craft Utility (LCU) Mk-IV class to be inducted into the Indian Navy. "These ships based at the Andaman and Nicobar Command can be deployed for multi-role activities like beaching operations, search and rescue, disaster relief operations, supply and replenishment and evacuation from distant islands," Navy Spokesman DK Sharma said. The ship, weighing 830 tonnes, is capable of transporting various kinds of combat equipment and is fitted with advanced systems like Integrated Bridge System (IBS) and Integrated Platform Management System (IPMS). The ship, commanded by Lt Commander, has a complement of five officers, 45 sailors and is capable of carrying 160 troops in addition. The remaining three ships of the same class are in advanced stages of construction and are scheduled to be inducted over the next one and a half years, he said.